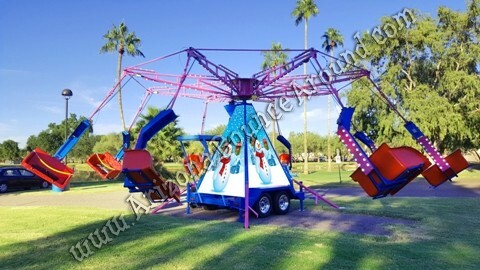 Our Energy Storm Carnival Swing ride has a capacity of 16 passengers perfect for kids, tweeners, teens and adults. The Energy Storm Swing comes complete with amazing dancing carnival lights and will make your carnival or look amazing. 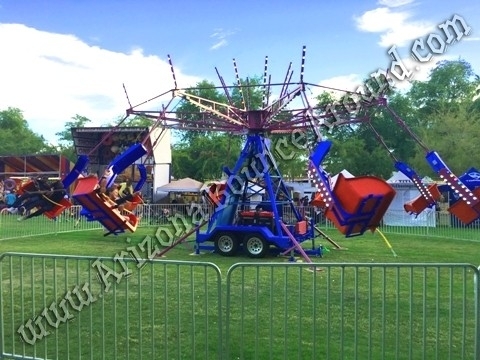 The Energy Storm swing ride comes complete with generator, 1 attendant to operate, safety rules sign, fencing and amazing carnival ride light show sure to make your party or event look just like a real carnival. 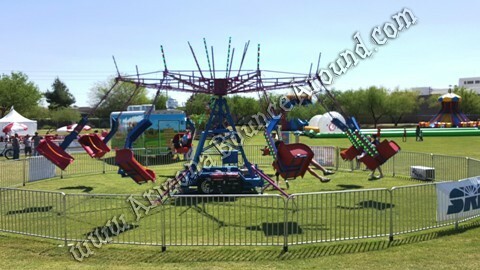 We have a huge selection of carnival rides for all ages so be sure to check them out. We will have more photos and video of this amazing carnival ride soon so reserve it today for your next carnival. All of our carnival rides are state inspected and required in the state of Colorado so don't rent a carnival ride from anyone that does not have this inspection. Our Energy Storm ride will be state inspected and ready for use mid 2019.